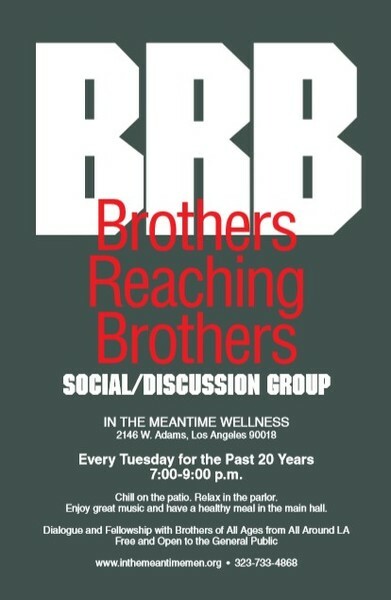 For the past 21 years Brothers Reaching Brothers is a weekly social/discussion group that meets every Tuesday of the week bringing different topics and speakers to the forefront. Chill on the patio. Relax in the parlor. Enjoy great music and have a healthy meal in the main hall. All free and open to the public.